Home amazing What happened in the 1920s? Shown above: British diplomat and former prime minister Arthur Balfour (1848 - 1930) addressing the first meeting of the Council of the League of Nations in Geneva, November 15, 1920. From left to right - Dimitrios Kaklamanos of Greece, Keishiro Matsui (1868 - 1946) of Japan, Balfour, Leon Bourgeois (1851 - 1925) of France, Maggiorino Ferraris of Italy, Paul Hymans (1865 - 1941) of Belgium, and Jose Maria Quinones de Leon of Spain. 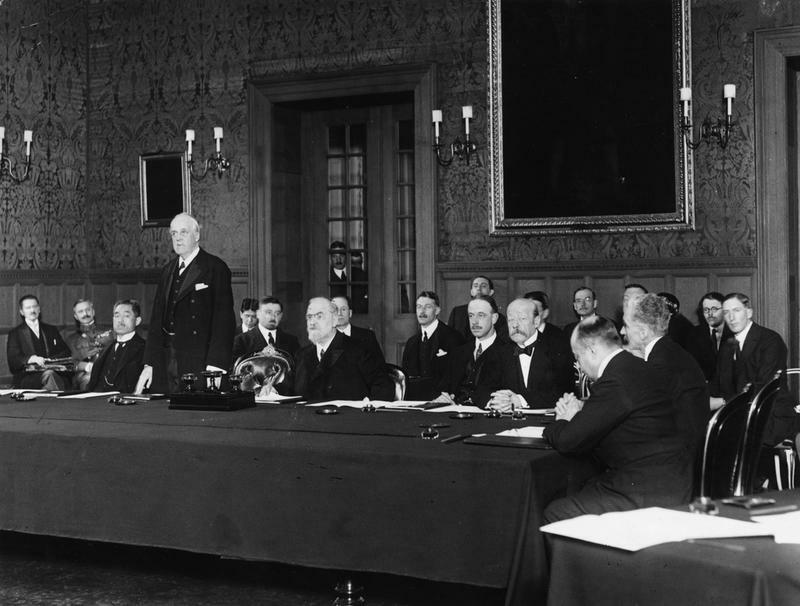 The League of Nations first met on 15th November 1920 with representatives from 42 countries. The League had 32 constant members throughout its 20-year existence but 63 nations took part in various assemblies. The Roaring Twenties brought many new changes with it – some good and some not so good. The League of Nations was Formed. Established in 1919 by the Treaty of Versailles was the League of Nations, a group of countries to achieve international peace and security. The plan was to end the war between countries forever, as President Woodrow Wilson pointed out in his “Fourteen Points,” but, of course, that plan failed miserably. The League of Nations did adopt his plan and the plan became the basis for the group. It was January of the next year, 1920 when they held their first Executive Council meeting and in November of that year, they held their first General Assembly in Geneva. Although the group grew to 58 member states, the United States never joined. By 1945, the League of Nations was replaced by the United Nations. Even though they have had good intentions, they have never been able to stop wars from happening. 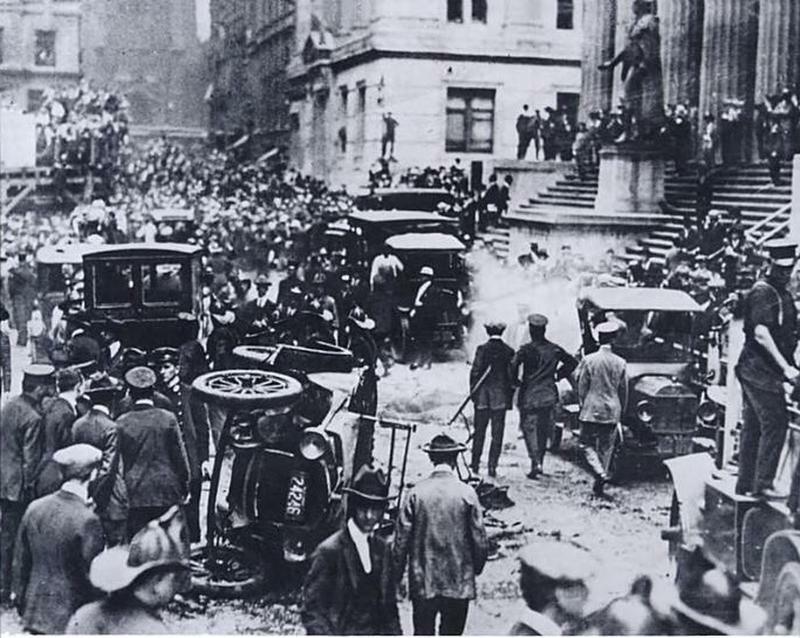 Up until the Oklahoma bombing in 1995, the worst terrorist attack in America was on September 16, 1920 (not September 11 but pretty close) when a cart driven by a horse containing a massive explosive device was detonated on Wall Street. Thirty-eight people were killed and hundreds more were injured on that day. When the day started out, everybody was their usual busy selves going about their day. Everyone was so busy that no one paid any attention when the horse and buggy drove up and parked at the Assay Office and the driver took off down the street. When the bomb went off at 12:01, it was extremely loud as some remarked later that it was the loudest noise they had ever heard. Debris began flying everywhere and people were dropping like flies on fire. Windows from the various office buildings were shattered. There was splattered blood everywhere along the street along with severed limbs from the victims. Women marching for right to vote. 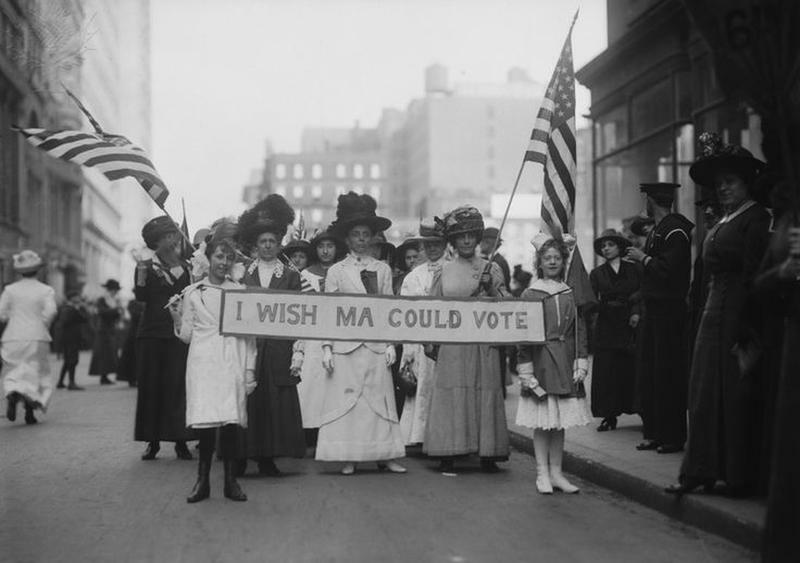 Women were finally able to vote. The fight for women to be able to vote first started in 1638 but did not become serious until 1848. At that time, a convention was held, the Seneca Falls Woman’s Rights Convention, organized by Elizabeth Cady Stanton and Lucretia Mott with Charlotte Woodward also in attendance. Twenty-year Charlotte was the only one at that convention who was still alive in 1920 when the victory took place to be able to vote, but she was too sick to cast a ballot. There were women who became radical enough to participate in marches around the White House with some even going to jail. In 1913 on President Woodrow Wilson’s Inauguration Day, there were 8,000 participants. Some women went so far as to chain themselves to a courthouse door in Minneapolis. In 1917 in another march, 200 were injured due to violence breaking out. Finally, in 1919, a breakthrough came when the Senate endorsed an amendment with a vote of 56 to 25. This went out to the states and finally, 35 out of the required 36 states had ratified the amendment. Tennessee was the final deciding vote with the vote of 24-year-old Harry Burn casting that crucial vote. Victory was finally achieved on August 26, 1920. 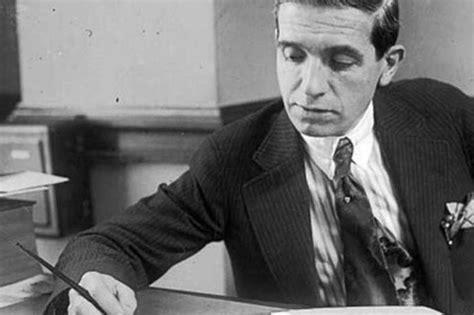 In 1920, an Italian swindler and con artist named Charles Ponzi came up with a scheme to make money. Representatives from various countries back in the early 1900s came up with a way to make it easier for people to send mail internationally. With an “international reply coupon” that they created, a person could buy one in one country and trade it for postage stamps in another country. Ponzi found a loophole where he could buy coupons in different countries and redeem them in the United States for a return on an investment. Through his smooth talking, he was able to obtain an unimaginable number of investors and most of the investors would continue to reinvest rather than cash out which helped keep Ponzi from having to actually pay out. This went on for some time before he was finally caught and imprisoned. Even after serving time in prison, he continued to try to come up with schemes. Mass Media in America was born. 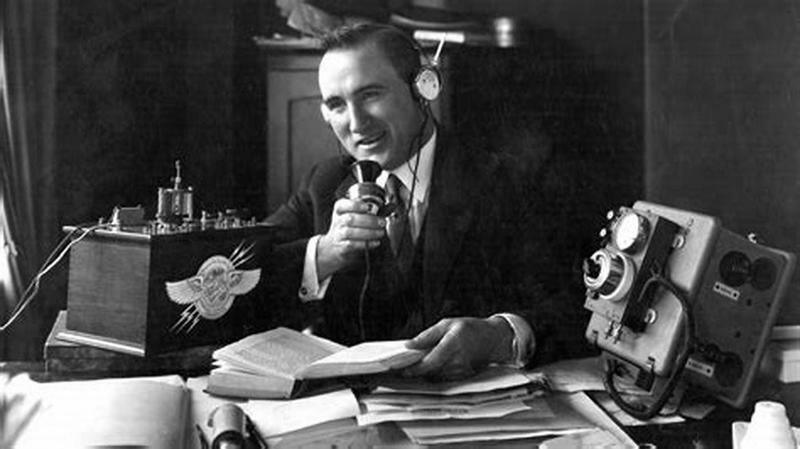 The first commercial radio station started live broadcasting in 1920. In fact, in November, results of the presidential election were broadcasted to the American public. It was years later before advertisements were added. Broadcasting stations that were included in this new launch included Westinghouse as KDKA, CFCF in Montreal, and WWJ in Detroit. The radio suddenly became very popular that year and two years later, 100,000 radios were sold. By 1923, 500,000 were sold. By 1926, there were radio signals everywhere with more than 700 radio stations in the country. The effects of the changes that began in the roaring twenties are felt today in more ways than one. Some of them escalated into a wider scale such as mass media. Now it is possible to just turn on a computer or television and a wealth of information is there at our fingertips.